New York: Do you wear contact lenses every day? A new study has found that contact lenses may alter the natural microbial environment of the eyes and increase the risk for eye infections. According to researchers, contact lenses make the eye microbiome more skin-like, with higher proportions of the skin bacteria and make them more prone to eye infections. “Wearing contact lenses has been identified as a risk factor for the development of eye infections such as giant papillary conjunctivitis and keratitis,” Dominguez-Bello added in the paper was published in the journal mBio. “Our study has the potential to help future studies explore novel insights into a possible role of the microbiome in the increased risk for eye infections in contact lens wearers,” Dominguez-Bello stated. 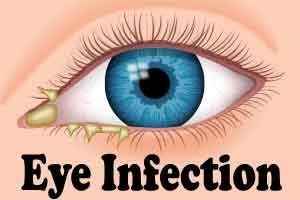 The team compared 58 adults with the bacterial communities of the conjunctiva — the eye surface — and the skin under the eye. The results showed that looking at 250 samples — 116 from cotton swabs of the conjunctiva, 114 from cotton swabs of skin under the eye, and 20 contact lenses — a higher diversity of bacteria on the ocular surface than on the skin under the eye or on the contact lenses. “Other studies have shown increased risks for eye infections in contact lens wearers and this might relate to impacting the microbiome. When we can better understand the mechanisms, we will be able to test hypotheses and propose preventive measurements,” Dominguez-Bello stated.